With its impressive refinement, well-rounded performance, and high-tech features, the Fusion Hybrid puts Ford at the top of the hybrid sedan class. 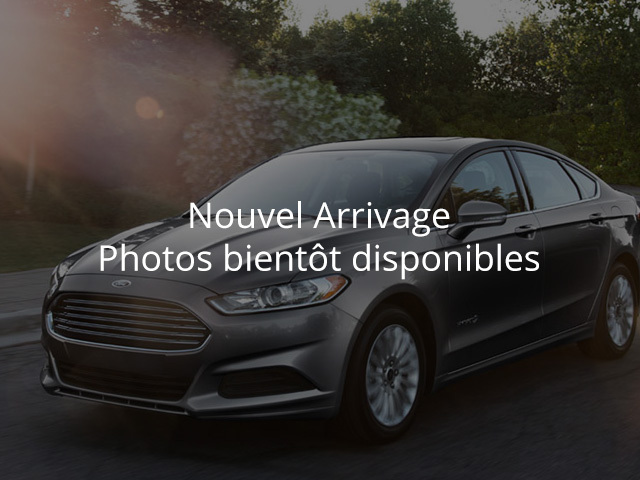 -Edmunds This 2018 Ford Fusion Hybrid is fresh on our lot in Moncton. Buying a hybrid used to be a compromising experience. The advantage was the excellent fuel economy, but it came with big downsides like lack-luster performance and unsightly design. Say goodbye to compromise with the stylish Ford Fusion Hybrid. Simply put - this is the best looking hybrid money can buy. It also gets strong safety ratings so you can drive with confidence. For a stylish sedan that you can trust, the Ford Fusion Hybrid is a great pick. This low mileage sedan has just 14258 kms. It's magnetic metallic in colour. It has an automatic transmission and is powered by a smooth engine. It has some remaining factory warranty for added peace of mind. Our Fusion Hybrid's trim level is SE. On top of excellent fuel economy, this Fusion Hybrid SE gives you some nice features. It comes with the SYNC infotainment system with Bluetooth, a CD/MP3 player, and 9-speaker audio, dual-zone automatic climate control, cruise control, a SmartGuage with EcoGuide, LED taillights, a rear view camera, power windows, aluminum wheels, push-button start, and more. To view the original window sticker for this vehicle view this http://www.windowsticker.forddirect.com/windowsticker.pdf?vin=3FA6P0LU3JR105577.